Armfield Wallace & Munro are proud to be a CCH iBizz Certified Partner. CCH iBizz is online accounting software that's the perfect solution for businesses who want to be more active in managing their accounts while still having the security of knowing that our support and advice is only a click away. From streamlining your sales and purchase processes to reconciling your bank statements, CCH iBizz is a powerful tool for running your business. You'll save time and gain insight into your businesses performance. CCH iBizz runs from the convenience of the cloud meaning there are no files to transfer or out of date data. It's all online, and it's easy. 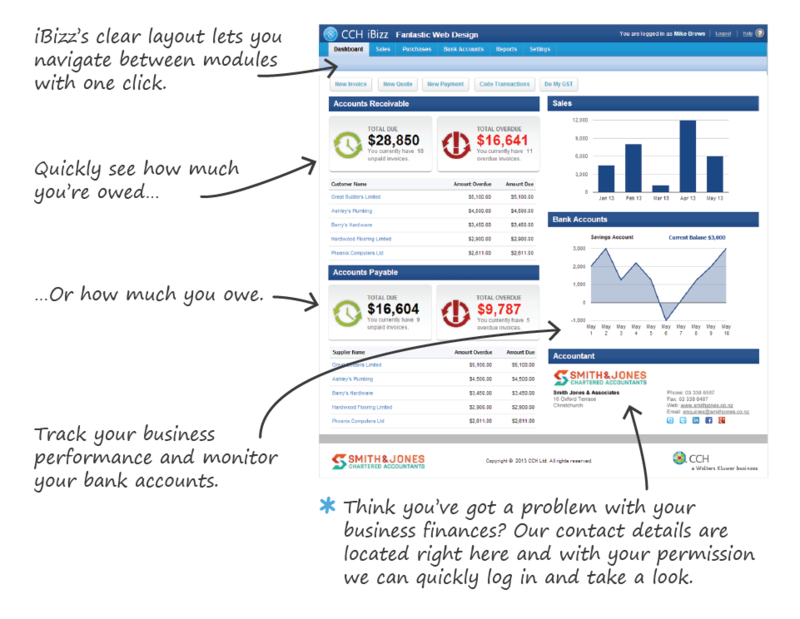 The CCH iBizz dashboard lets you see everything you need to know about your business all in real-time. 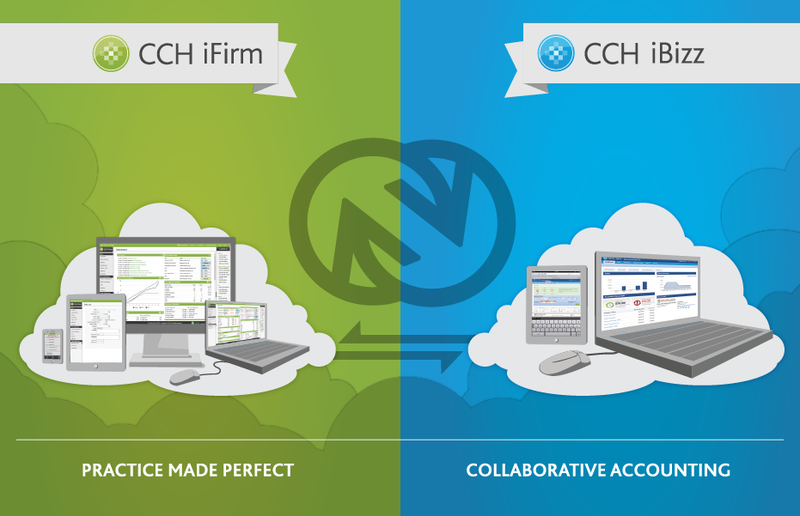 Unlike other online accounting software, there are no restrictions on your usage of CCH iBizz. You get all the features from day one. You can access CCH iBizz at anytime, and from anywhere with an internet connection. There is no hardware to purchase or software to update - CCH iBizz automatically updates from the cloud. If requested, we can log into your CCH iBizz site and see your current business position for truly collaborative accounting. The CCH iBizz dashboard lets you quickly familiarise yourself with the financial position and performance of your business from the convenience of one location. 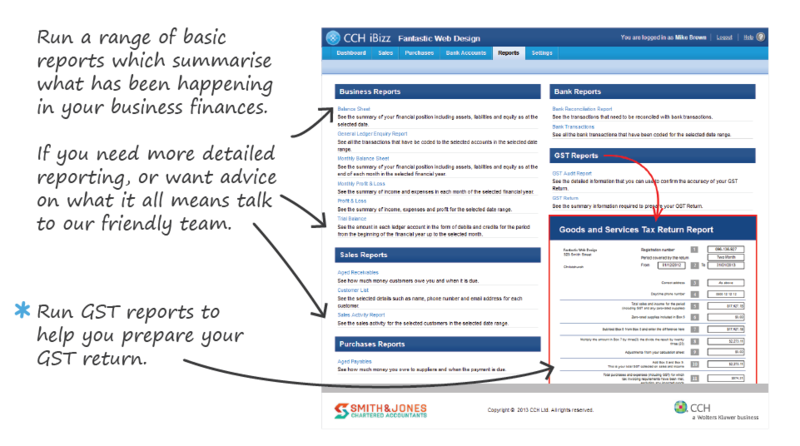 Creating and sending quotes and invoices in CCH iBizz is easy. You can personalise the layout and add your logo so they are quickly recognisable. With one-click you can convert your quote to an invoice streamlining the sales process. 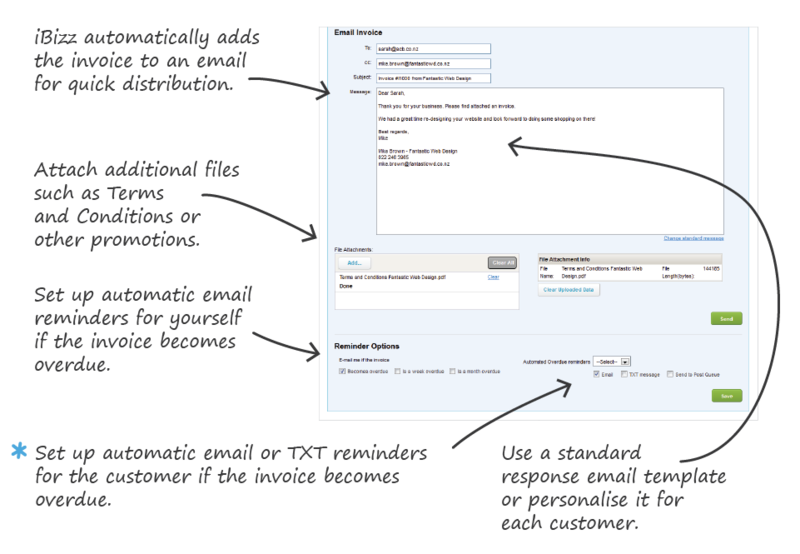 CCH iBizz automatically adds your invoice to an email or it can be saved as a PDF for a later date. There are a range of reminder options for both you and your customers to ensure you get paid. CCH iBizz lets you quickly code your bank transactions. Bank feeds update everyday so you are always looking at the most up-to-date information. 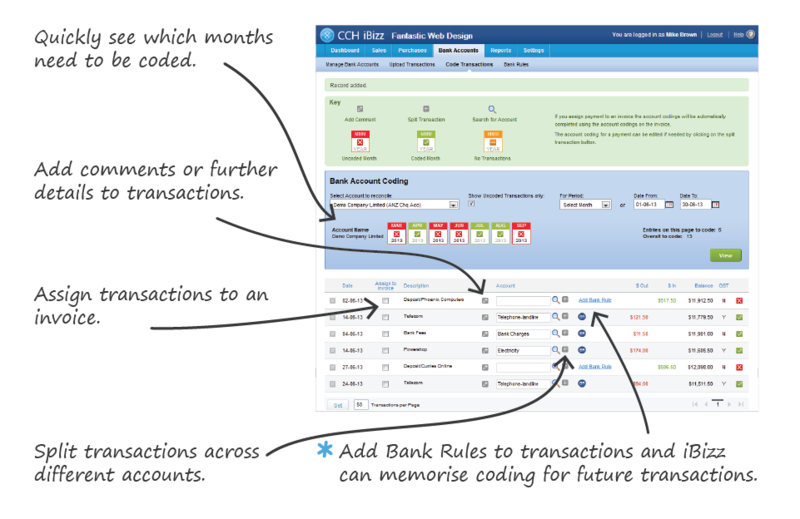 Using keyword memorisation, CCH iBizz will even code your regular transactions for you saving even more time. Run up to the minute GST, profit & loss, balance sheet and trial balance reports to get a more detailed analysis of your business. 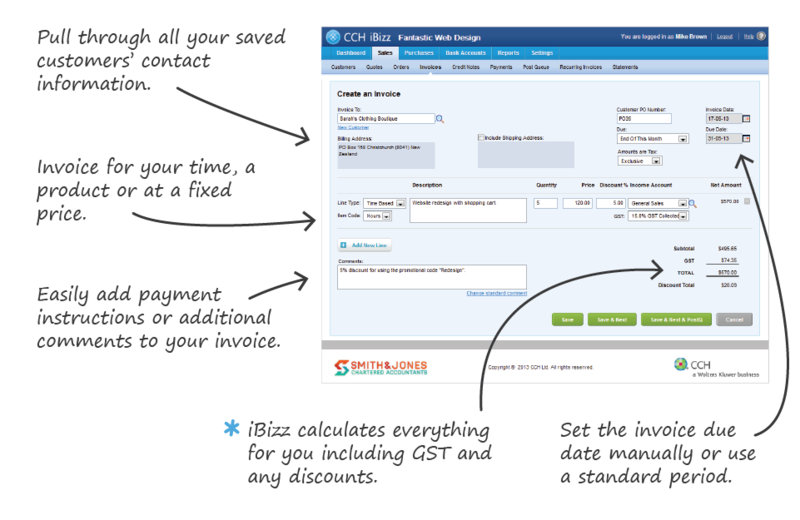 CCH iBizz lets you keep on top of your accounts payable and confidently plan your cashflow for the months ahead. CCH iBizz integrates closely with the software we use in our practice, iFirm. With your permission, we can access your real-time business information and provide you with tailored and robust business advice.